Explore the wonders of the world, with Authentic Models. Made from brass with an antique bronze finish and thick durable magnified glass. 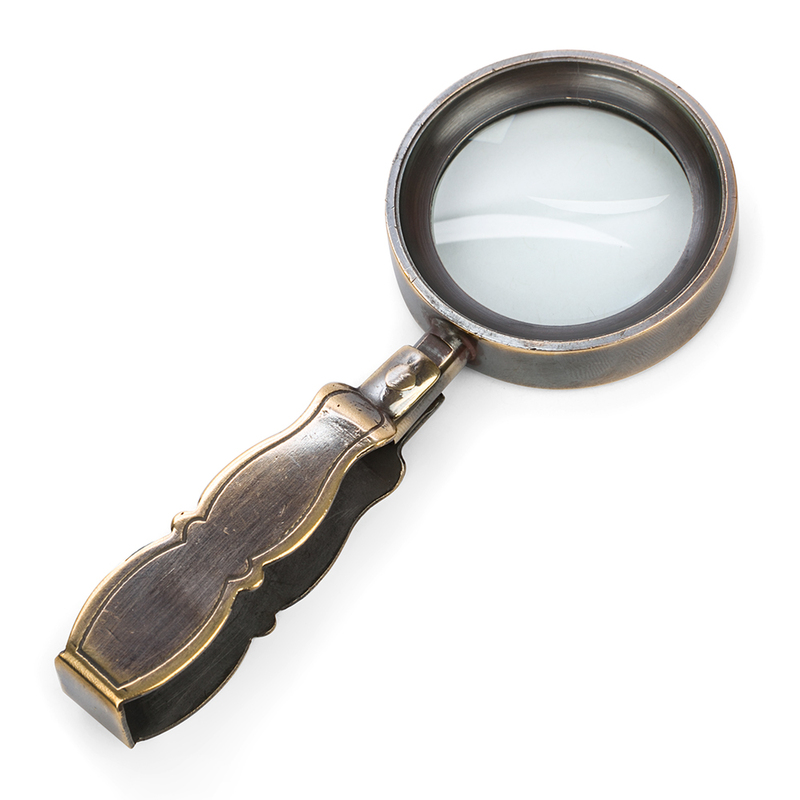 Compact fold-able travel magnifier, with an ornate ergonomic handle. Open Dimensions: 13.5cm (l) x 5.5cm (w). Closed Dimensions: 7.5cm (l) x 5.5cm (w).